When preparing for the monumental day of bringing a child into this world, it is so important to not only choose a birthing location that feels right for your specific needs, but to ensure you are with a provider who is always going to have the best interests of you and your baby in mind. Last August I had the honor of photographing two all natural births at the Birthing Center of Buffalo, and in addition to being amazed at how strong both mamas were in their labors, I was equally amazed over the hard work, care, and attentiveness that Dr. Katharine Morrison and her assistant, LuAnn, provided to both laboring women and their husbands. 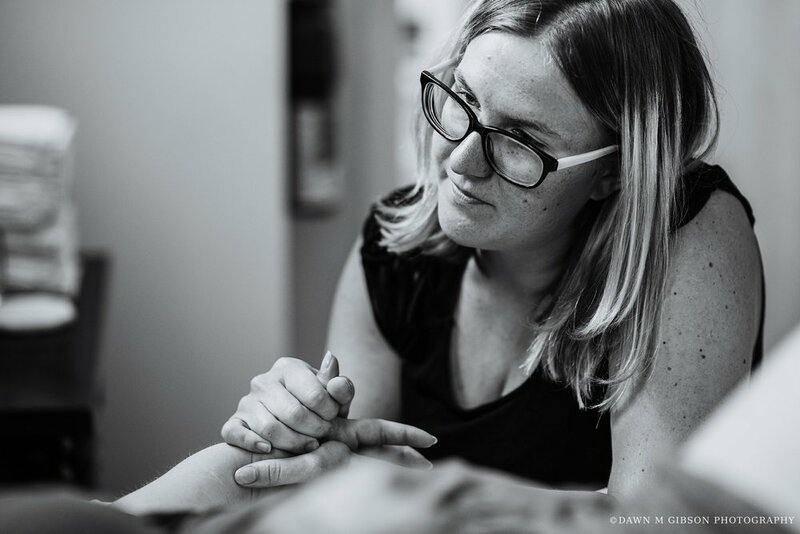 In my experience photographing such a variety of birth stories, I've had the opportunity to see different providers in action, both in the hospital and out. And Dr. Morrison was definitely one of the most attentive providers I've had the pleasure of working with. My hope in sharing birth stories of women throughout the WNY region – regardless of location and provider – is that it helps to break this idea that birth has to be a certain way, or in a certain place, or fall within a specific time frame. After all, each birth story is truly unique and special and we should celebrate all the different ways mamas choose to labor and babies choose to enter this world! Why did you choose the Birthing Center of Buffalo for your labor and delivery? 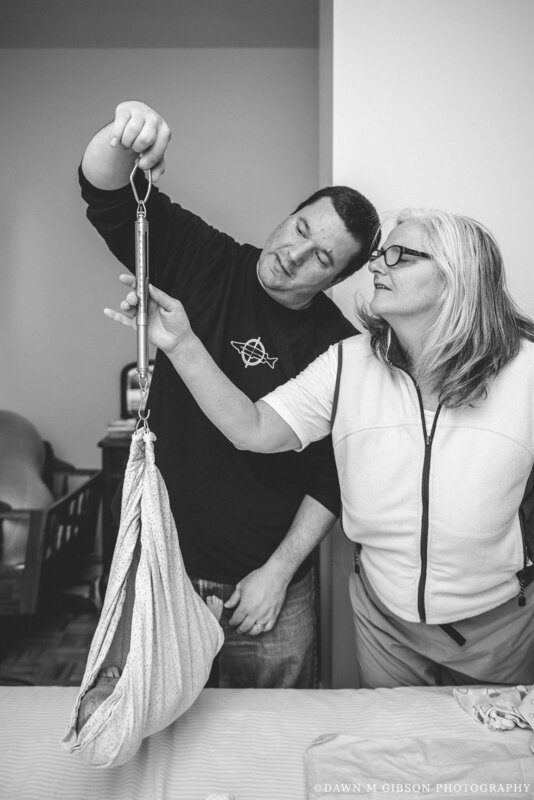 I chose the Birthing Center of Buffalo because it was a wonderful medium of a comforting homelike atmosphere with the expertise of Dr. Morrison and LuAnn Conte. They also require you to have a doula attend the birth and that was something I was very interested in! I hired Kayla Rogers of Divine Lotus Doula Services and she was wonderful! She made sure to not only to make sure I was comfortable but my husband as well. What was your favorite or most memorable moment from your birth story or labor/delivery experience? I think delivering but that’s a given so I’ll go with the next. I remember after I had rested for a while and Audrey was being weighed and measured I was eating these Grapes, triscuts, and hummus. It was the most delicious and mouth watering thing I ever remember eating in my entire life! The grapes we so sweet, the crackers were so crunchy, and the hummus was so creamy! 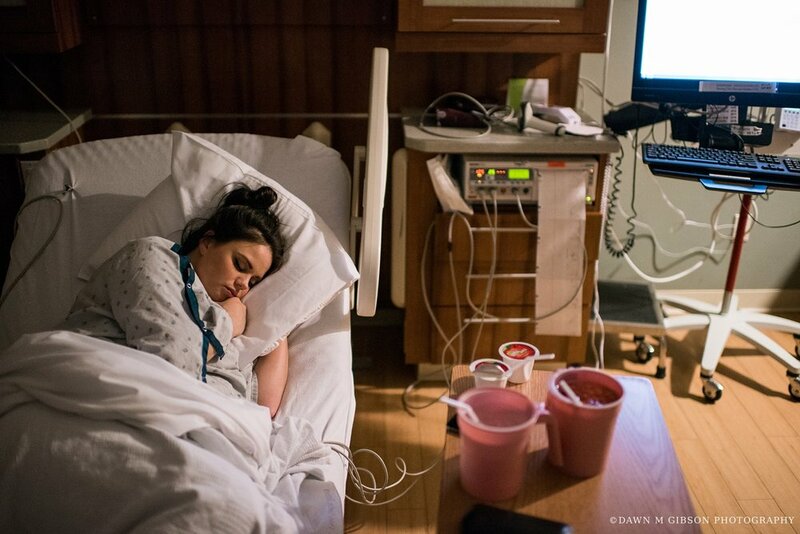 Why was having your baby's birth photographed important to you? I have a bad memory so I didn’t want to forget anything about that experience. 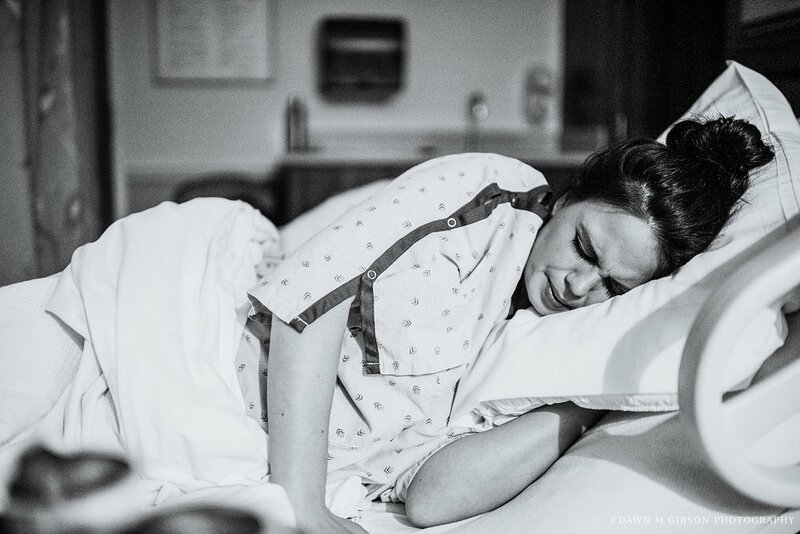 In hindsight I’m very thankful because I had my eyes closed for a majority of labor so it was great to know after the fact what was happening behind the scenes! 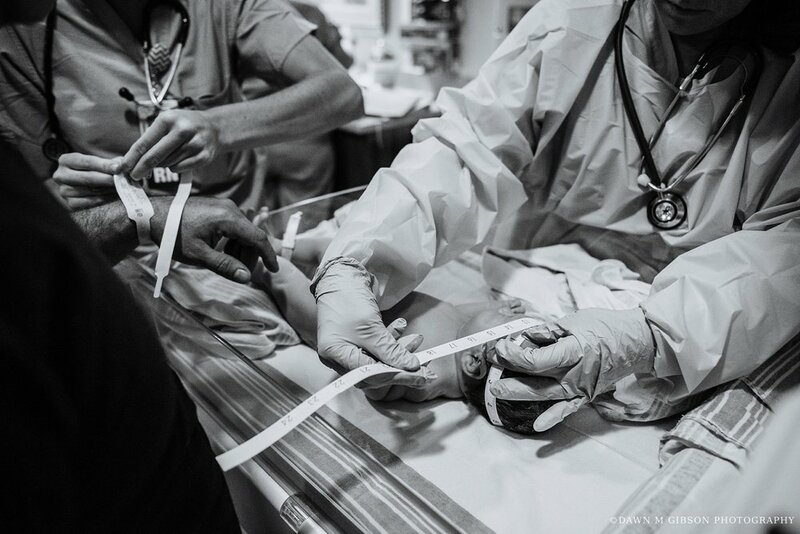 What does having the photos of your labor & delivery mean to you? Having these photos means I’ll be able to share these with my daughter and show her how raw and beautiful it was when she came into this world. The most wonderful thing about birth is that each story is truly unique. The method of delivery, the location, the time of day, and of course the way in which each mama labors. Well, let me just say, this mama was a total rockstar. I got the call to go to Millard Fillmore Suburban for her labor and delivery in the overnight hours, and there was such a calm in the room as I entered. Dad was getting some rest and mom was handling her contractions like a champ solo! 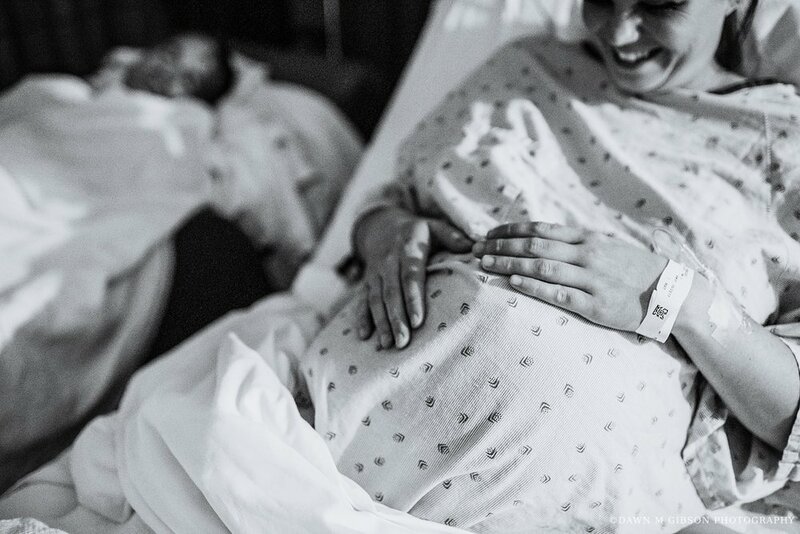 We shared in conversation to distract mama from her contractions and help pass the time and before long, they were welcoming their beautiful daughter into the word! Then just like that, they were off to get a bit of rest just as the new day was beginning, and I exited their delivery room just as quietly as I entered. It was probably the calmest and quietest of births I've photographed, just like the morning hours in which it all took place. If you are interested in having your birth documented, I'm excited to announce that I still have several openings for October 2018 and onward. My offerings have expanded as well, so that not only will I continue to offer the on-call birth photography services I've had the last several years, but I am now offering Off-Call services (for last minute inquiries) as well as First Hours (Fresh 48) Sessions (for those who just want coverage post-delivery). If you are interested in learning more about any of these services, please don't hesitate to inquire today for a free consult! I'm happy to go over any questions you may have and walk you through everything either over the phone, or (preferably) at a comfortable in-person location. And if you're having a hard time deciding if birth coverage of any kind is for you, take a few moments to read this mama's first hand feedback of her experience! And then of course, be sure to stick around for the beautiful images that follow! It was so important to me because I have two older children that I didn't have their births photographed and I regret not doing It. It's such a blur and there's so much to try to take in and remember during the chaos of the moment that I wish I remembered the moments more. I knew that being able to capture our last child being born would help me/us remember the moments that much more. Sure enough, looking at these pictures helps us remember it all, that much more. How would you describe the experience of having me in the room with you throughout the waiting and delivery process? Was it helpful to pass the time, a distraction? Having Dawn in the delivery room while we got through labor and waited for the baby to arrive was literally a godsend! It was all throughout the night and very late into the morning hours and she was amazing. She distracted me and was very reassuring and helpful offering her own help often, on top of capturing great pictures the whole time! My fiance slept most of the process lol! Dawn jumped up and took control being a great support person. She truly was amazing! I'm so glad she was there honestly! It means the world to me to have these photos. I'll never have this time back, of having our daughter. It's truly a once in a lifetime deal. You'll only get this moment once and you cant get it back after. I'll always be able to pull out these photos and remember the day though, like it was yesterday, thanks to having them now. Thanks to Dawn we'll have these memories forever. 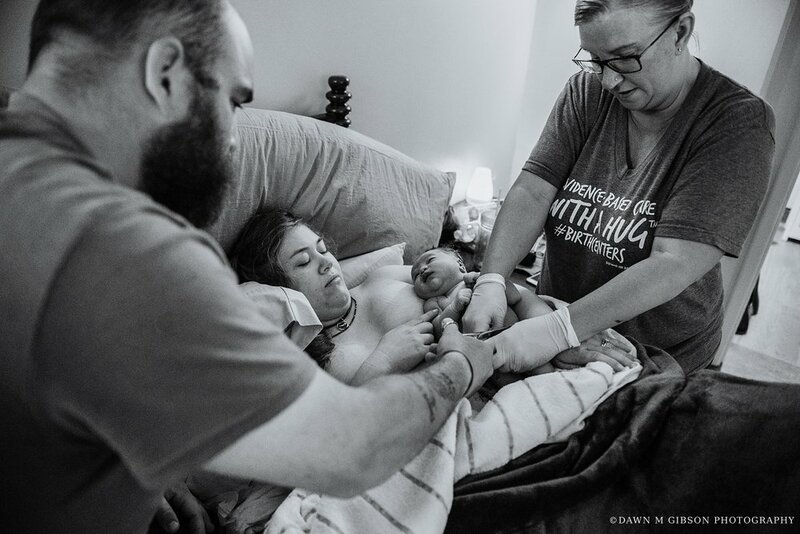 One of the things I love most about birth photography is how unique every birthing experience is. Whether you're a first time parent or it's your third time around, every labor and delivery is different, and the stories – and little humans – that come of it are truly priceless. Back in February, the Hornbuckles welcomed their very first child into this world! 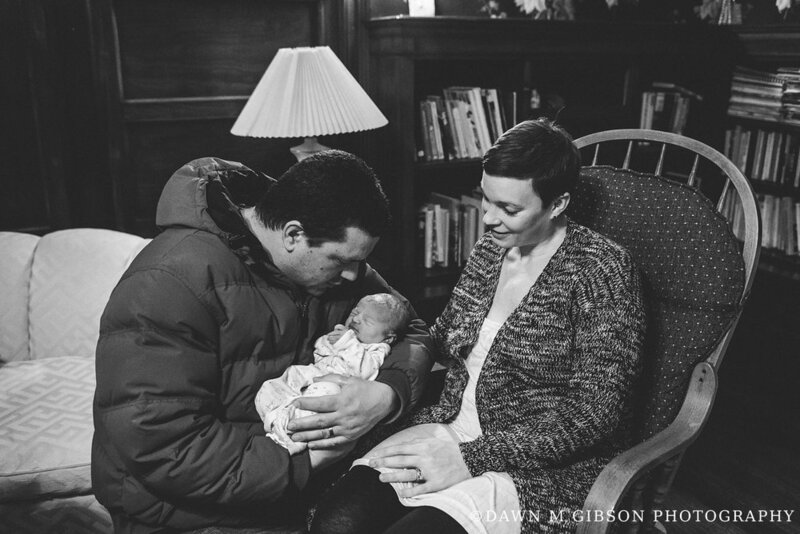 As sometimes happens, their birth story went differently than they had hoped, but through it all they had the most amazing support system with the staff at Sister's Hospital and most of all, from their dearest family members. Both the sets of grandparents-to-be, and mom's supportive aunt, cousin (and also best friend), and Nani waited with them at the hospital throughout the bulk of the labor, taking turns checking in and offering encouragement along the way. But I have to say, dad – as you'll see in the photos to come – was such a pillar of strength and support for mom throughout the entire lengthy labor she had. He deserves a medal for dad of the year, 1,000%. 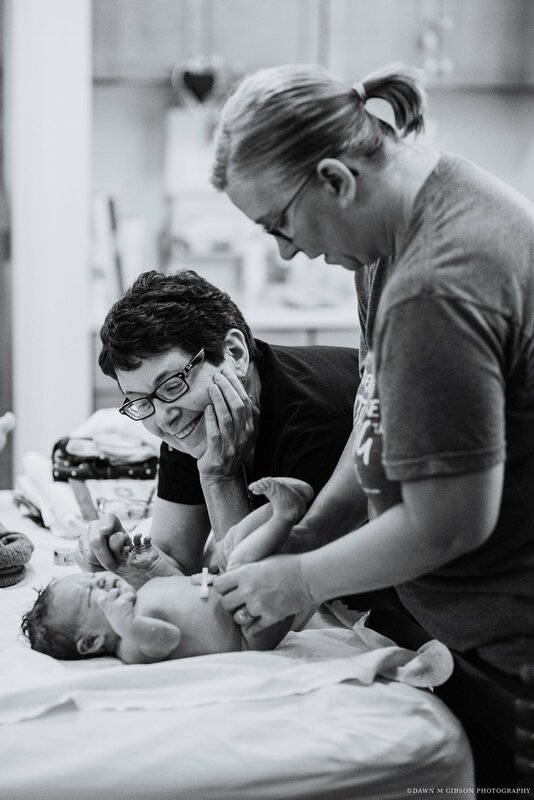 I had the fortunate experience of being with the Hornbuckles to document their labor and delivery over the span of 2 days – plus a bonus extra day – and loved reliving this time with them as I was selecting favorites for this post. I make no apologies for how long this post is, and hope you stick with me through to the end. It's so worth it. 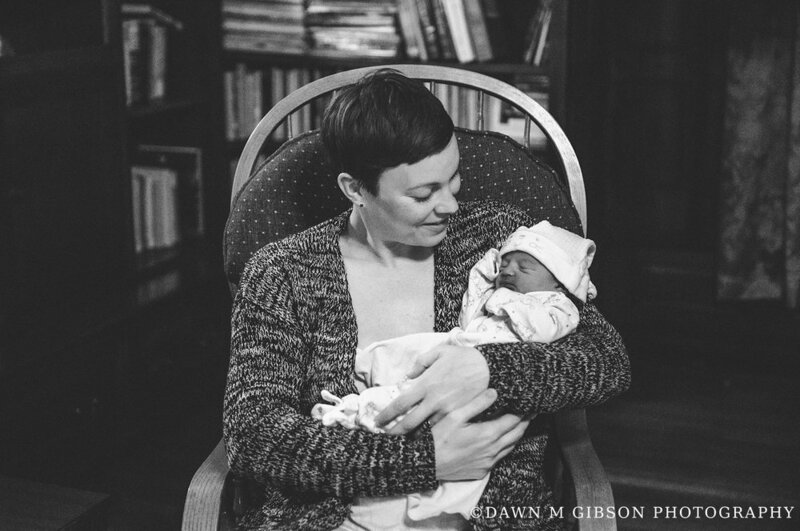 With one of my birth story offerings, I also offer next day coverage. So if you're looking for photos with loved ones meeting baby, or posed photos of your little one, this is something that can absolutely be added to your birth story coverage. Here are a few from my next day with the Hornbuckles! 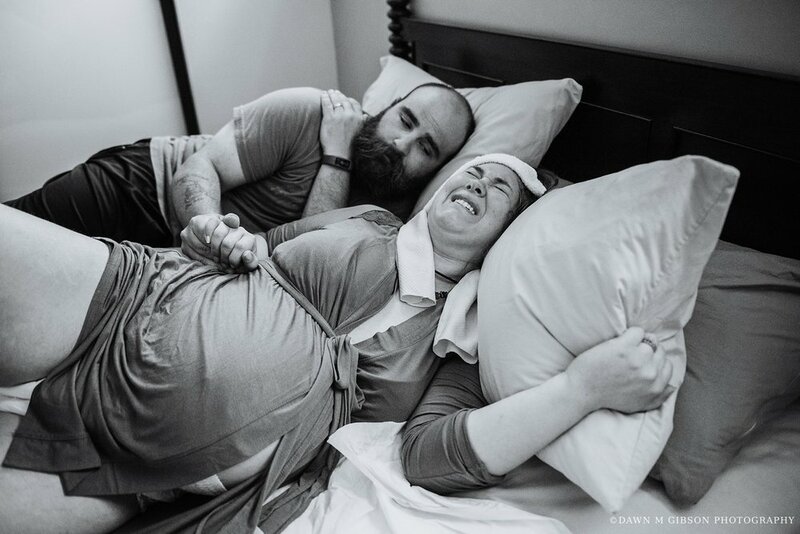 Did you have any hesitations having your labor & delivery photographed, and if so, what were those hesitations? 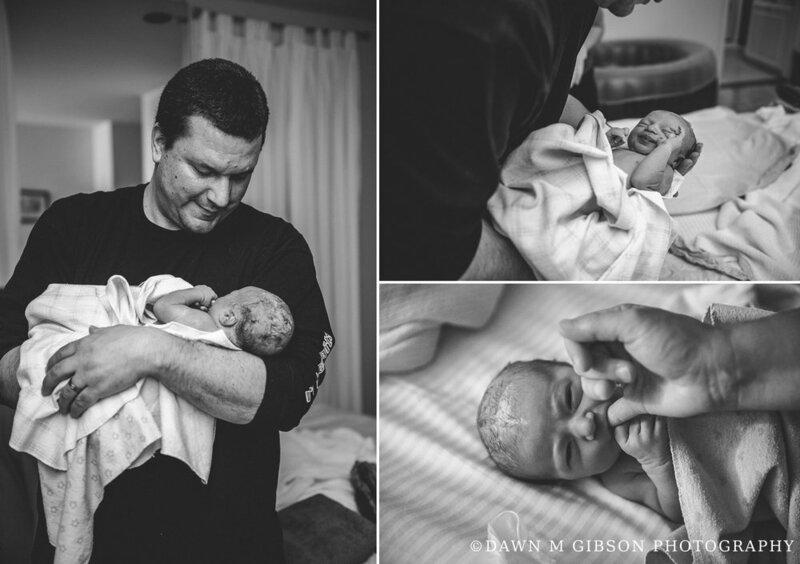 Brian and I had a few hesitations at first about being photographed during birth, because never having been through it before as first time parents, its hard to know what we'd be comfortable with in the delivery room, and sharing photos via your blog is a little scary, as well! But our desire for photos far outweighed the fear of sharing something so personal, and we KNEW you'd be very discreet and easy to work with! Why was having your baby's birth photographed important to you? 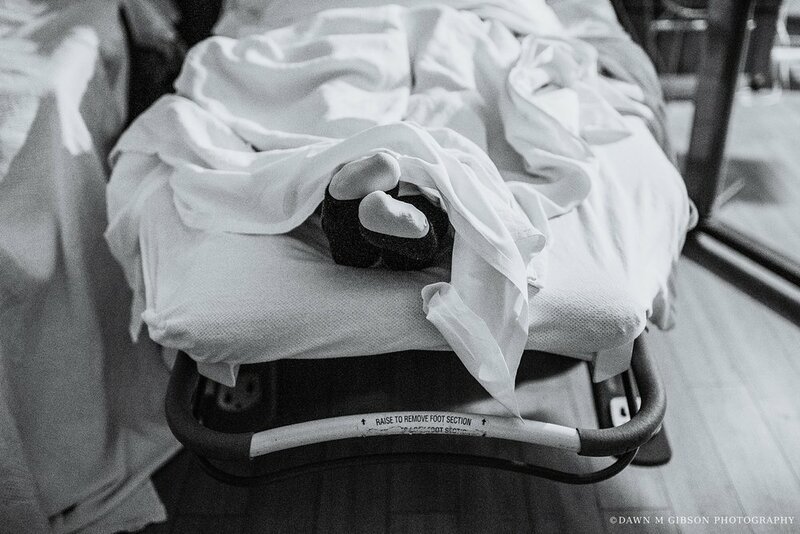 Having our baby's birth photographed was important to us because it is one of the most special days of our lives. Bringing a child into the world for the first time is special and I personally knew I'd want to relive the experience, whether good or bad, afterward. I had a feeling I'd be a little distracted (just giving birth, no big deal!) during the whole process and might miss certain things, like the weighing of the baby, etc. After carrying a baby for almost 10 months and going through labor, I knew I'd be sad if I missed seeing my baby's first few minutes of life! How would you describe your thoughts/reactions to your photos? When I saw the photos, I cried! Because of the medication I had to be on during the labor, I was groggy and didn't remember a LOT of the labor and delivery. I was not expecting to be so out of it the whole time, so I am especially grateful for the photos! Not only of Levi, but the photos of my husband with me and taking care of me are precious. If you have another baby, would you want birth photography services again or would you recommend me to others? 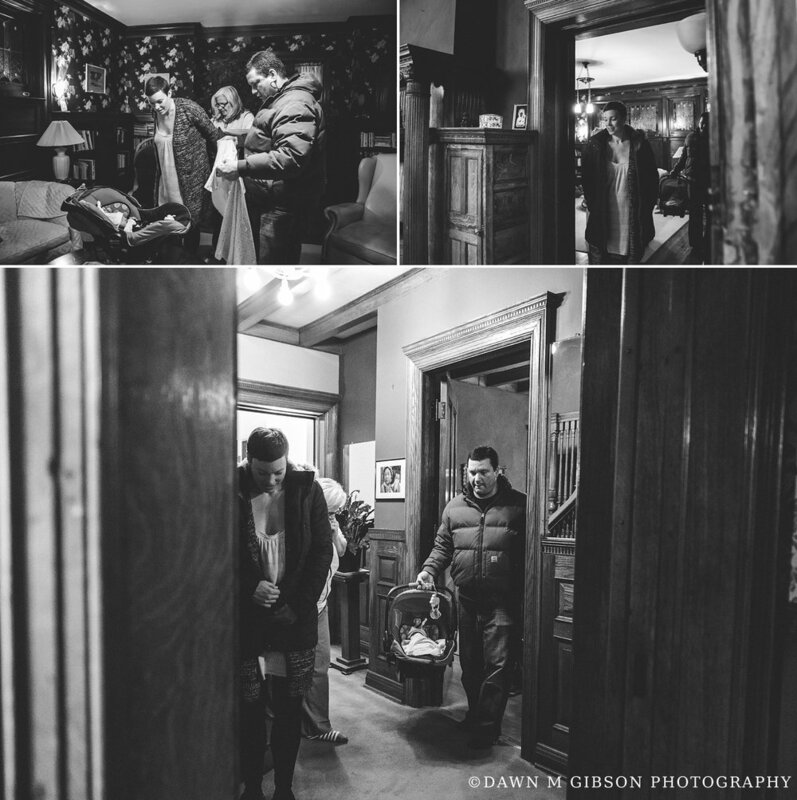 If we have another baby, I would love to have you there to capture the process. I would definitely recommend you to others. You have such a passion and talent for photography, and you are amazing to work with. I'll never forget when the nurse asked you to hold my leg while I was pushing so she could step away, and you immediately put your camera down and held my leg during a contraction! You are both brave and kind! 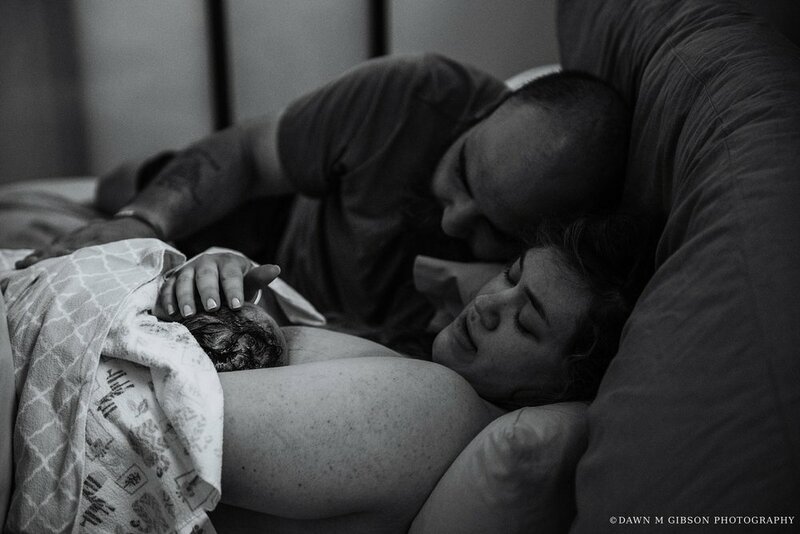 What does having the photos of your labor & delivery mean to you? The photos mean the world to me! Seeing the whole labor process from an outside perspective was really cool and helped me remember parts that were hazy from medication. I did not expect to be on such serious medication and never imagined my labor and delivery going the way it did. 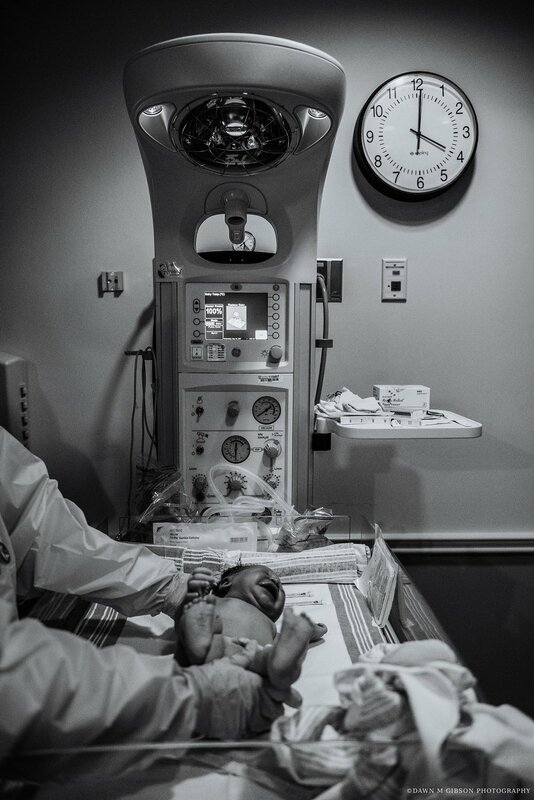 The photos of my son being born are so special, because I could not see straight from the medication. I love looking at them now and they will always be special to me! Bonus answer: Thank you for taking the time to take photos the next day with our family and friends! It was great to get photos of the grandparents with their first grandchild, and the photos of our son wrapped in his blanket are priceless to us. I was personally grateful to have you back the following day, as I was able to get freshened up and was more alert and myself. Thank you for each and every photo! 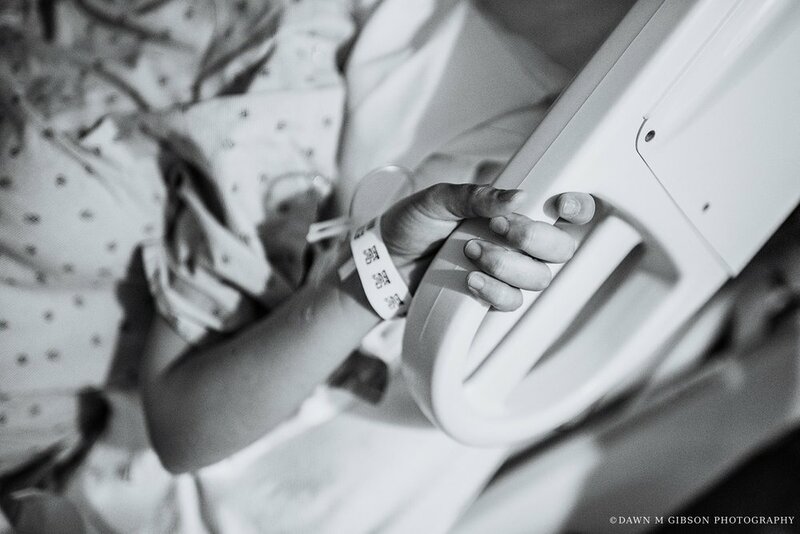 While I have now photographed many hospital births, this visual story I'm about to share is to date, still my only non-hospital birth, but it was probably one of the most amazing experiences I've ever had the chance to photograph. Last April (I can't believe it's taken me a year to make this post!) the Arenas called me when they were on their way to their birthing location, Buffalo Midwifery Services, and I met them there upon their arrival since they had just a touch longer drive than I did. Within minutes of our arrival, their third child – a beautiful baby girl – entered this world. After their daughter was born, mom was able to hold on to her baby and breastfeed for a bit with the umbilical chord still attached. As soon as they felt ready to go home, they packed up their things and their newest baby, and headed on their way! 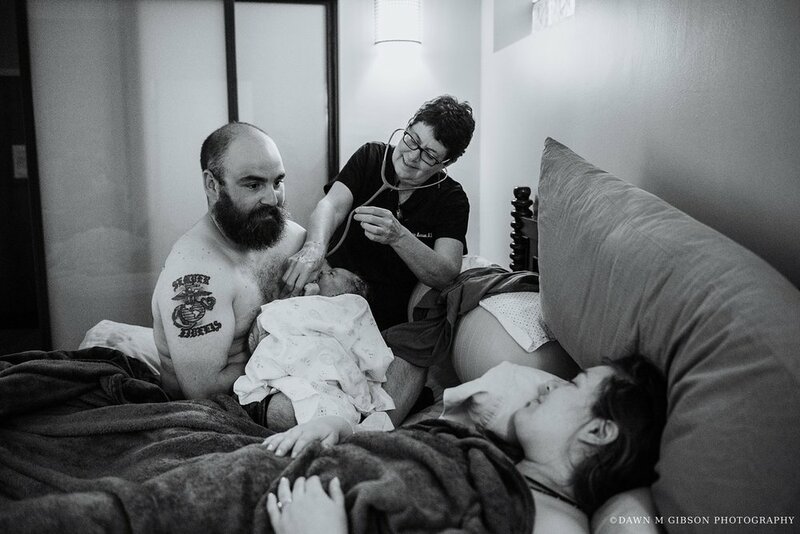 After such an amazing experience with the Arenas at the Buffalo Midwifery Services, I would absolutely love to be a part of more natural births, whether at home, at the Midwifery Services location on Summer St, or at any of the Birthing Center locations in WNY or Rochester. So as a special offer for the next 3 non-hospital births to book photography services with me, I will be providing a discounted rate for birth photography services. If you are interested or know someone who may be interested in this incredible opportunity, drop me a line on my inquire page. P.S. The women at Buffalo Midwifery Services are phenomenal with all they do to help moms bring their babies into this world. 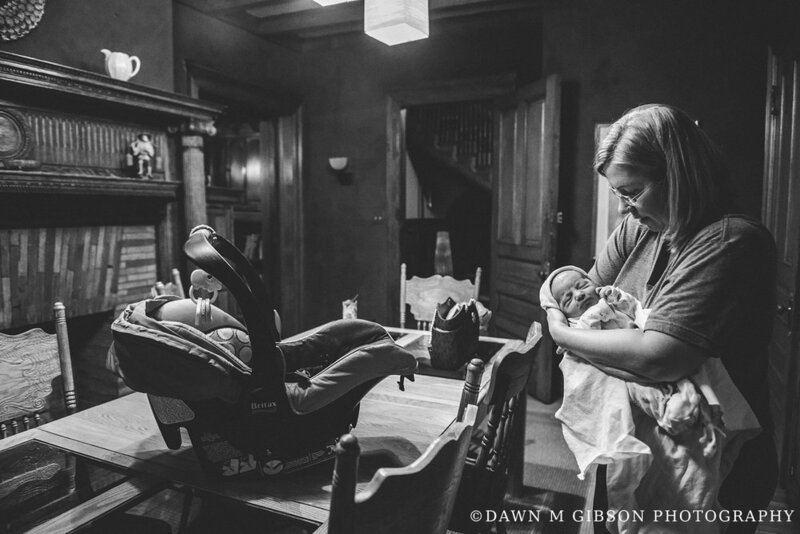 Eileen Stewart and her assistant, LuAnn, were inspiring to watch during the Arena's Birth Story, and I cannot wait to work with them again! If you're looking for more information on their services, check out their website here.